This month, students on the University of Notre Dame campus will experience a new kind of dorm energy competition. 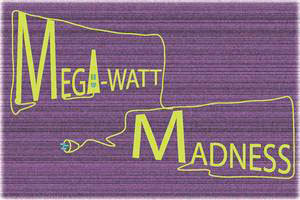 Megawatt Madness will match up dorms in head-to-head competitions to see which residence hall can implement the most energy-saving practices. Dorm match-ups will rotate each week. The competition runs for three weeks, from Feb. 4 (Monday) through Feb. 24 (Sunday), giving every dorm a good shot at being a winner. The grand prize options for three-time winners include a tour of Notre Dame Stadium for the entire dorm, a frozen yogurt party, and a movie night at Browning Cinema. Brackets are available at green.nd.edu The website also shows real-time energy usage by each dorm and competition standings, along with tips to help save energy. The Office of Sustainability, is co-sponsoring the competition, along with the Center for Sustainable Energy, Student Activities Office, Facilities Design and Operations, DeBartolo Performing Arts Center and the Athletics Department. Originally published by Office of Sustainability at newsinfo.nd.edu on February 01, 2013.